The Jablocom Essence is a business desktop phone which uses the mobile network but looks and behaves like a normal office desktop phone. Like other business phones it supports most of the commonly used features including 3 way conference calls plus call hold and transfer. The Jablocom Essence is also ideal for the busy executive. It comes with unique cloud services allowing users to access call lists, messages and contacts through the web, synchronise contacts with your other devices and manage groups of phones. 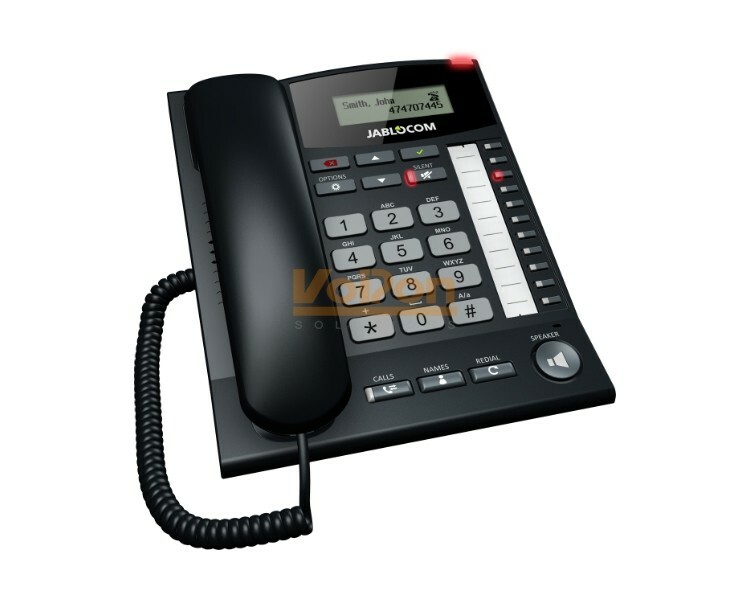 VoIPon - your Jablocom Essence GSM Desk Phone[GDP-06] distributor, supplier, reseller! Get all your wifi at VoIPon! If you would like to be notified when the"Jablocom Essence GSM Desk Phone" is re-stocked, please enter your contact details and we will notify you instantly.